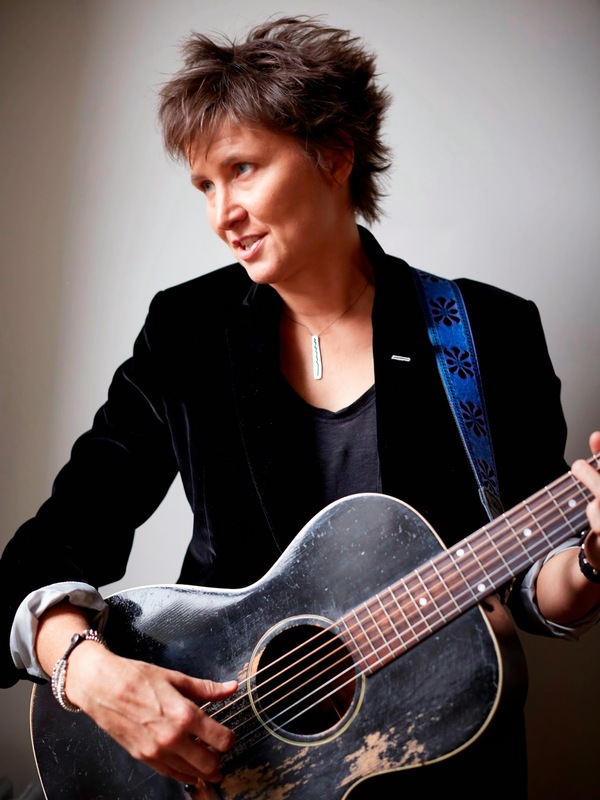 Annie Keating makes a welcome recording return to UK audiences with a brand new self-released album hitting these shores in the opening weeks of January. 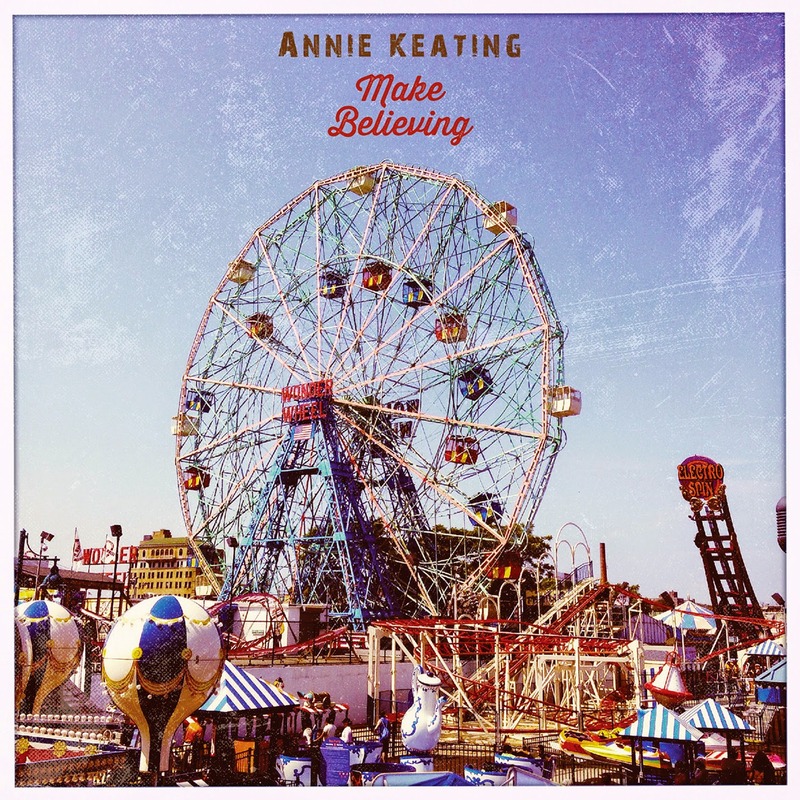 MAKE BELIEVING is a sweet eclectic mix of rural idealism and suburban endeavours confirming Annie’s status as a leading light on the North Eastern US indie-folk-Americana scene. As we have come to expect from her previous five albums, there are traces of experimentalism all underpinned by a thread of root connecting sounds. This brief overview of MAKE BELIEVING can be further illustrated by the opening three tracks which encompass the theories behind this album analysis. A record hitting its heights in the first song can be a double edged sword but in this case there is no evidence of the album tailing off. The track in question, ‘Coney Island’ retains an element of nostalgic charm wrapped in an appealing package and can be applied to any faded fondness of the mind’s recollections. This dose of suburban reflection is followed by a memorable defection from the land of concrete and steel with a fiddle led country waltz- like beat accompanying the delectable ‘Sunny Dirt Road’. Never afraid of filtering in tints of urban influence, ‘I Want to Believe’ possesses such vibes which blend in well with perpetual harmonica refusing to relinquish a roots hold. Despite having its sound defined in the initial ten minutes, the remaining half an hour ebbs and flows through a further eight tracks awash with Annie’s glowing vocals and continually reminding the listener as to why she is regularly compared to America’s eminent female singer-songwriters. A further highlight worth singling out is ‘Know Hard To Fall’ with its catchy chorus once again supplemented by the ubiquitous harmonica. Scanning down the list of players reveals an unsurprising source for much of the roots sound (banjo, fiddle, mandolin et al) in the name of Canadian acclaimed bluegrass band The Abram Brothers, or in the case of the credits - John and James. A natural beauty exists within Annie’s vocals which rise sufficiently enough above the instruments to make a significant effect without any need for overpowered brashness. ‘Lost Girls’ further exemplifies this and is a steadying anchor track in the album’s final quarter. Annie is often a fleeting visitor to the UK and if funds allowed for a more extensive stay, then the record would be given a greater impetus over here. However its strong qualities will find sufficient love in the extensive dedicated online avenues, many on self-anointed missions to keep the art of mixing fine songs with the sounds of the land alive and flourishing. MAKE BELIEVING is an inventive and veritable album rejoicing in the triumph of the independent spirit nurturing one’s own soul and desire to make music. Luxuriating yourself in this release as well as delving further into the world of Annie Keating is an advisable leisure pursuit and one that will transport a talented artist into your listening sphere.